Oh how I missed you so. Did you all have a wonderful weekend? I am now counting down the days until the boy takes the bar. Life will be so much different. Let me tell ya. So I have been working with multiple clients as of lately, and I keep finding myself drawn to herringbone patterns in every way. Lemme explain. I am not just talking about textiles. I am talking about flooring and wallcoverings. In the famous words of Lil' Jon and the East Side Boyz, "to the window, to the wall." I won't finish the rest of the lyrics. You can fill in the blanks. Seriously. It is such a classic pattern but has been modernized over the years with exaggerated prints and larger scale patterns. 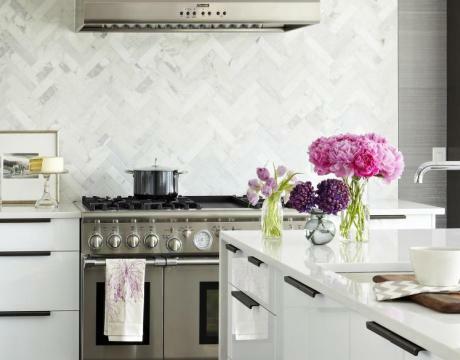 I personally prefer the smaller more traditional herringbone pattern as it brings so much texture to any design. Let's face it though. I don't discriminate. I am obsessed with this room. All of the masculine elements married with the feminine color palette at play her. Don't think I don't see that ginger jar and animal statue present. Hello dream kitchen. We have met and are in love. I might actually lay down my legit culinary kitchen in a space like this. Might. What a fabulous open office space equipped with herringbone wood floors. Holler. Herringbone carpet? Ummm yes please. You know I love me a good monochromatic space from time to time. Hell, the purse is even on board. An example of the more exaggerated herringbone, the chevron like floor. 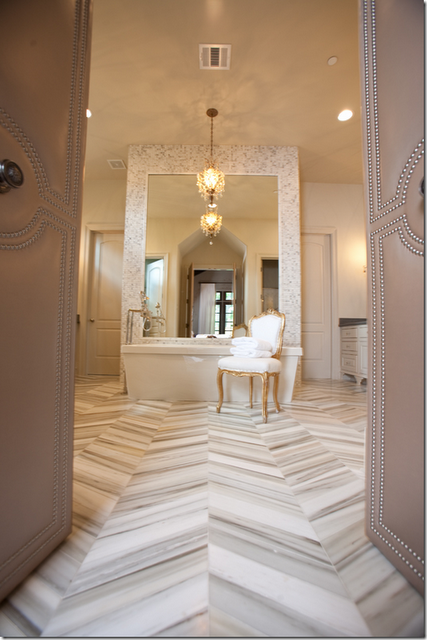 While I am somewhat over the chevron trend, this floor does not bother me because it is marble. I am a snob like that. Are we loving the twinsie lamps here?!?? Lovey dovey romantic bathroom. I need this palace. Nailhead dual opening doors?? Yes please. 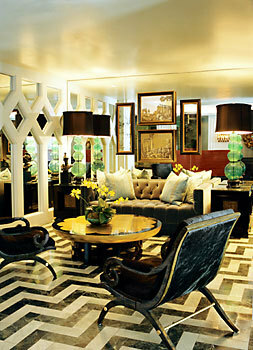 And that herringbone marble floor? Need I say more? Another fab herringbone wood floor installation. Love all of the mixture of color here as well. Styling gets an A+ here by Todd Romano. Another lovely picturesque bathroom. 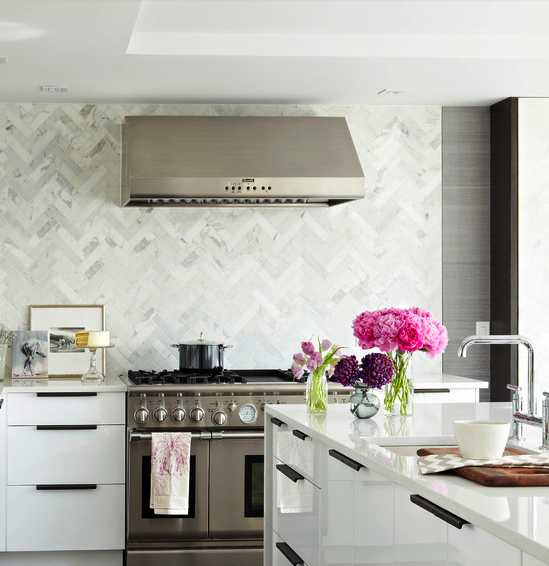 A herringbone tile installation is the focal point of the floor. Don't you love the closed off countertop spaces? Almost like cubicles for bathrooms. I am lookin' and I am a likin'. Gorgeous mixture of woods here in the herringbone floor. What is not to love? 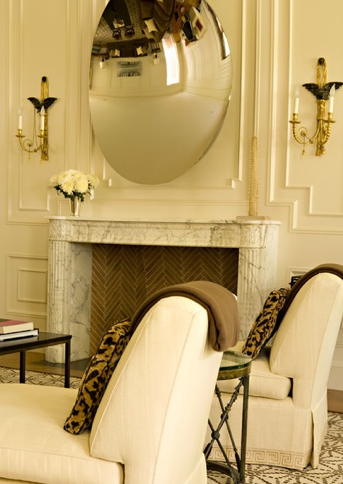 Herringbone tile dresses the back of this fireplace. 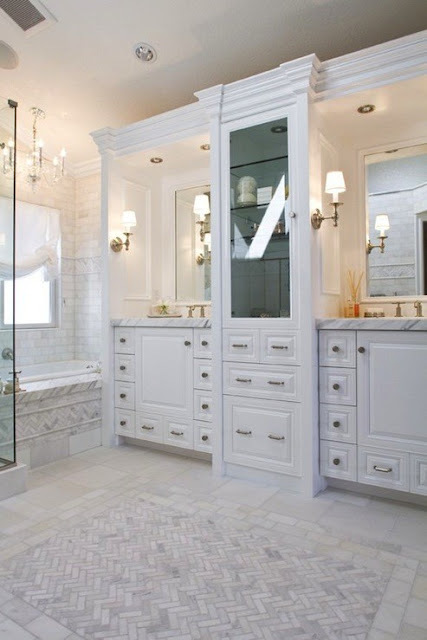 An interesting contrast to the carrera marble was chosen here and it totally works. Lovely romantic space with almost white wood herringbone flooring. 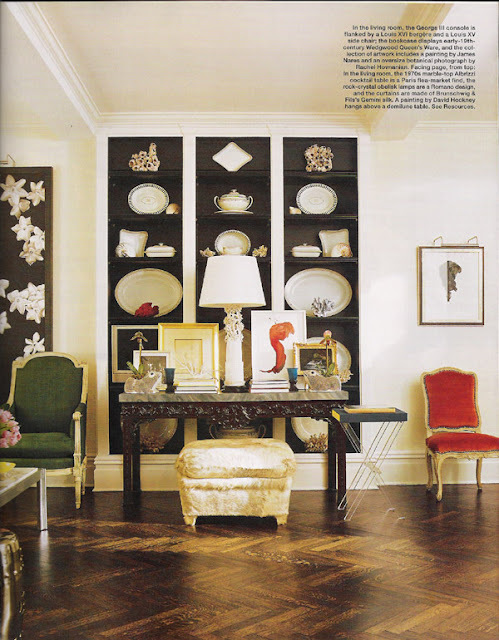 Ultra feminine and glam hallway with ebony herringbone flooring. If I were single this would so be me. Good ole' Martha Stewart had to jump in with her domestic ways and show us a somewhat simple DIY to get that herringbone look on furniture. 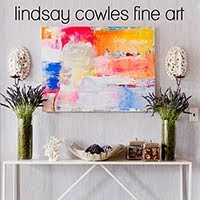 While I am not wild about the mid-century modern piece, I do love the pattern she executed here. Obviously. Welp. That is all for herringbone as of now. What do you think? Are you sold? Are you obsessed now like I am? That's ok. We will attend HA (Herringbone Anonymous) meetings together. Big surprise/reward/love for you all this morning. Check back soon. Loves! Oh my goodness that kitchen! Perfection! And I'm swooning over that bedroom. obsessed. Its why I love my couch so much! 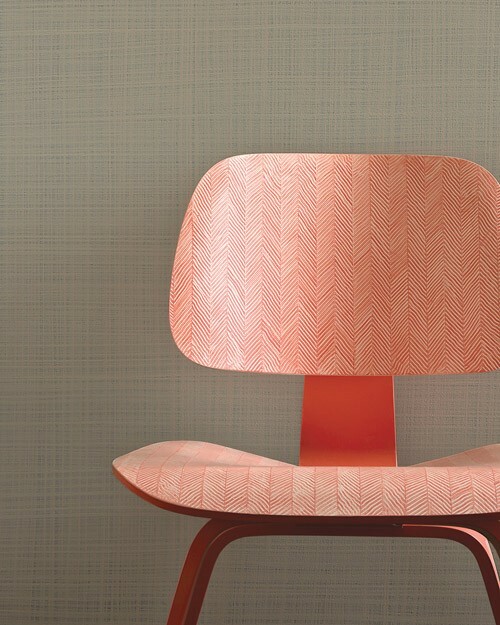 I love this pattern... Its so elegant and adds a lot of texture to any surface! Just got some tone and tone herringbone fabric for my living room. In love with it. It will have to satisfy until I buy my castle with herringbone wood floors. What a great collection of pictures. I'd like to jump into some of those rooms and just live there! Hi thеre, I reaԁ yоur nеw stuff daily. Yοur writing ѕtуle is wittу, kеep it up! Wow... That is what we call a beautiful creation! 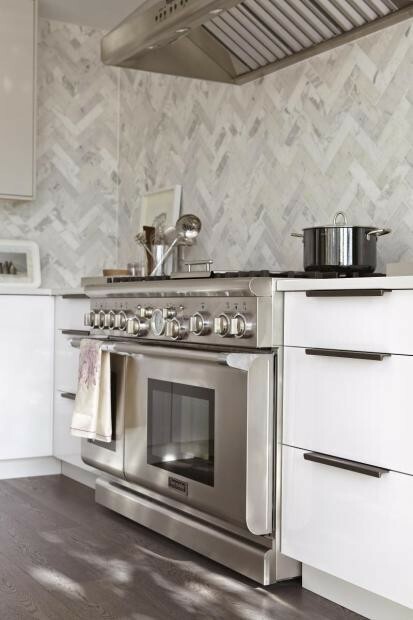 Amazing work on Herringbone Flooring... Are they all Reclaimed Herringbone Flooring? If not then you must try it...they are one of the unique.. Thanks. You are the best, the most, the everything. 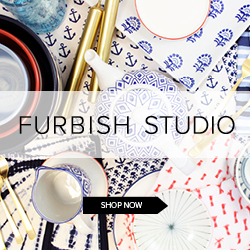 S+S is all about unique interior design, cuisine, entertaining, fashion and lifestyle. 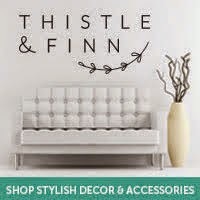 Most of all bridging the gap between home design and fashion. I am passionate about design, half birthdays, black coffee, designer heels, statement pieces, anything gold and crossword puzzles. Let's kick it! Can I get a witness, I mean winner?